As a mental health professional, self care is paramount to my well being and ability to do my job well. I often say that I won’t preach what I don’t practice, so I wanted to share with you five of my self care rituals. 1. Sleep. My sleep is mandatory and highly schedule! I typically allow for 10 hours of sleep each night, knowing that sometimes it takes 15-20 minutes to unwind and fall asleep. The longer block of time also allows for me to wake on my own (BEFORE the alarm startles me awake). If my body happens to need more sleep, it is not difficult to get it with a 10 hour block. 2. Skin. I use a lot of lotion! I have a large bottle at every sink in my house, on my dresser, on my nightstand, in my purse and work bag, at my desk, etc. I find putting on lotion to be a kind gesture to my body; whether it’s hands, elbows or feet. It also allows me to pause for a moment several times a day just to reflect on the sensation. 3. Scents. I am an avid candle burner. One of the first things I do when I get home is light a bunch of candles all over the house. The warmth, flickering light, and scents are all very relaxing to me. I also choose my body wash wisely, using a citrus in the morning and lavender in the evening. 4. Music. I always have music on. Records, playlists, Spotify, Pandora, radio, etc. Music to me is very soothing, both listening to it, searching for it, etc. 5. Me time. To me, this means scheduling time to explore. From new stores, the library, trails, taking the scenic route or walking around the block. I love to spend time exploring and learning about new places, people, and parts of the city I live in. What is mindfulness? I love this topic and the practice; yet even I have a difficult time finding the words to describe what mindfulness succinctly. In simple terms, mindfulness is the practice of focusing your attention on purpose. The concept is that you control your mind/thoughts instead of letting them control you. Mindfulness has been around for hundreds of years and is often traced back to Buddhism. The literal Sanskrit translation is awareness. Mindfulness is a skill and thus requires practice. There are six core mindfulness skills according to the Dialectical Behavioral Therapy model, which are broken into “what” and “how” skills. 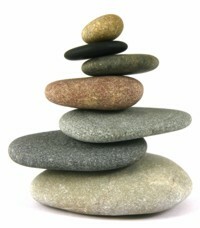 The “what skills”, or what you need to do in order to be mindful, are to observe, describe, and participate. The “how skills” encourage us to be non-judgmental, effective, and one mindfully in the moment. Observing is about noticing your internal and external surroundings in a curious manner. Describing encourages factual statements that everyone would agree with (note this requires you to be non-judgmental and thus becomes effective in reducing anger and gossip). Participating requires you to get out of your head and into the moment, targeting the anxiety that people often feel in new and/or social situations. In order to be effective in the what skills, you need to apply the how skills. Using them together allows more time between a trigger and a response which reduces anxiety, depression, obsessions, and maladaptive behavior patterns such as self harm, substance abuse, and aggression. 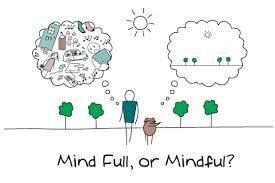 Examples of mindfulness practice are limitless, almost anything can be a mindfulness practice if done with intent and focus. Taking a walk is a practice if you open your eyes, take in your surroundings through all 5 senses and block any other thoughts from entering your mind. Eating is often done mindLESSly; however eating mindfully-with no distractions and full awareness has been shown to reduce binge eating and overall meal enjoyment. Art, dancing, building, meditating, breathing, applying lotion, showering, listening to music…all can be done with full awareness and can increase your ability to live in the moment fully, thus reducing depression and anxiety. If you need to plan, as is essential in life, mindfulness would tell you to sit down with pen and paper and plan with your full attention. Take that time to worry, think and make decisions; then return to the here and now. Mindfulness would also tell you that if you need to feel sad, you should reminisce and be sad as is justified; then return to the here and now. As you notice your self judgments, mindfulness tells you not to judge your judging!